The Vaal University of Technology (VUT) hosted the first gala dinner for the postgraduate council order of proceedings on the 18th of October 2018 to conclude the 3rd VUT postgraduate conference held on the 17th and 18th of October 2018 at Quest Conference Centre. 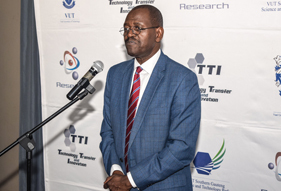 The Deputy Vice-Chancellor Prof Kuzvinetsa Dzvimbo said in his address that he is happy that the VUT is a research institution. He also said that he is fascinated that researchers are developing a culture of wanting to see what is happening around them. He said they need to push a little further to ensure they do not do research for the sake of doing research, but rather to answer certain questions that affect their society. Prof added that the first stage is to do research towards a Master’s degree, then a doctorate and the next stage is to do research that addresses real issues that affect people. He also mentioned that one is not a scientist until one can produce knowledge that other people can consume. 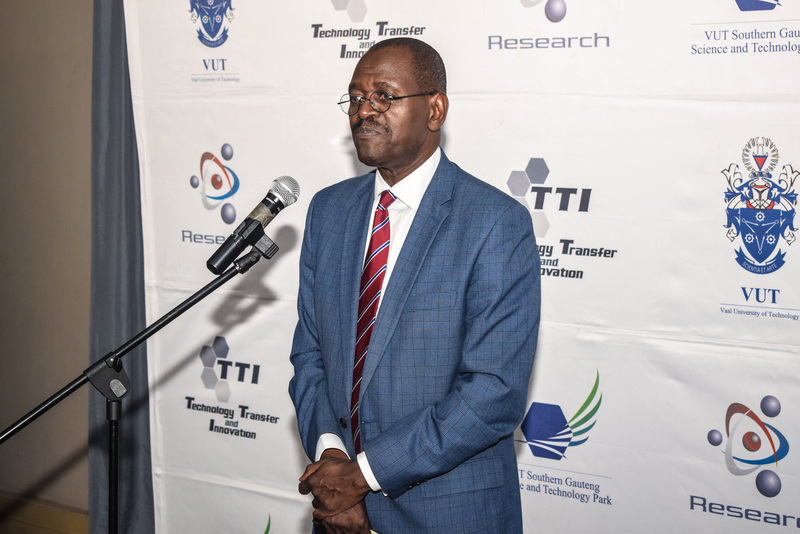 “You become a scientist when you begin to produce knowledge that other people are consuming, you become a scientist when you begin to produce knowledge that even people outside the country can consume,” said Prof Dzvimbo. He also said that the knowledge that you produce should have an impact on society. The keynote address for the evening was by Dr Thokozani Xaba, Senior Lecturer in the Chemistry Department. She said that in 2009 when she came to the VUT, the aim was to improve research. In her advice to the postgraduates, she said that collaborations are important as researchers, working together, will be able to put VUT “up there”. She also said that postgraduates should make friends of their supervisors and trust them. She said learning strategies get good products and that postgraduates should have friends to proofread their research. Lastly, she said they should not undermine other people’s work. Dr Xaba said that her most important advice, however, was that education and church go hand in hand – if you focus on one more, you miss the other. The top three presenters for the third VUT postgraduate council, were awarded to Z.L Radebe in third position, N.T Mashao in second and first position was awarded to A.K Kupeta.